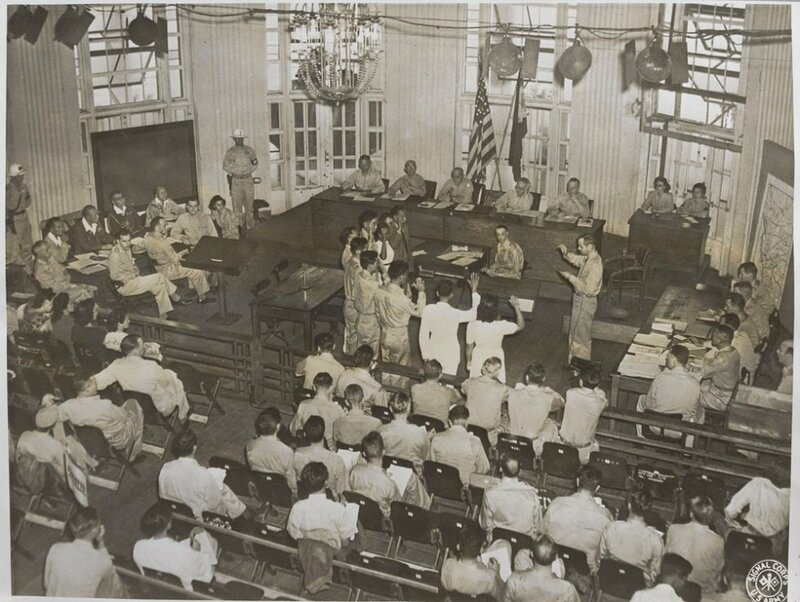 Witnesses taking their oath at the trial of Tatsuo Tsuchiya, 1945-1948. Image courtesy of Argus Newspaper Collection of Photographs. 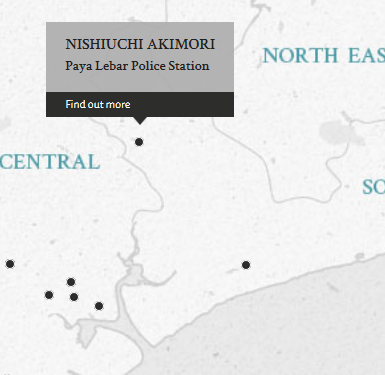 The defendant was the officer in charge of Paya Lebar Police Station during the Japanese Occupation. The charge relates to the ill-treatment of five victims whom the defendant had arrested for their suspected involvement in a murder. The defendant allegedly beat the victims with a stick to extract confessions from them. The Department of Justice and Attorney General stated that the evidence showed that for a Japanese police officer, the defendant was "exceptionally kind." One example cited was a cigarette case that had been gifted to the defendant by the Women's Section of Kyuco Han, or Medical Auxillery Service which had the inscription "To Mr NISHIUCHI. We shall not forget your kindness towards us for ever Will you please do not forget about us". Prosecution witness George Ratnam also served as a translator. Akimori, Nishiuchi. Former Officer-in-Charge. From Japan. Guilty. 12 months imprisonment. Sentence confirmed. Macdonald, J.A. Captain. From British Military. Sahay, S.B. Major. From British military. B.A. L.B. Pleader of the Patna High Court. Kakuta, Kiyomasa. Barrister of the Tokyo Supreme Court.